Just one month out from the start of training camp for the 2016-17 season Patrick Roy announced his resignation as head coach of the Colorado Avalanche, sending shock waves through the hockey world and the Denver sports scene. Since that time the Avalanche have gone on to hire Jared Bednar as Roy’s replacement and the team has put together an impressive preseason campaign. 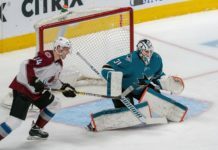 Still, many questions surround an Avalanche team that is loaded with talent but has failed to consistently reach the postseason. 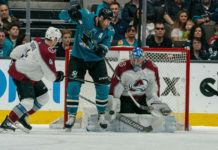 Nathan MacKinnon and Tyson Barrie both have new contracts and general manager Joe Sakic has maintained his support for the team’s core group of players in Matt Duchene, Erik Johnson and captain Gabriel Landeskog. All eyes will be on the talented core as they try and take the next step under Bednar. Meanwhile, at the prep ranks, George Gwozdecky is preparing for his second season as the head coach at Valor Christian. 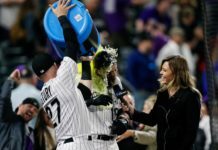 Just one season after going to the Stanley Cup Finals as an assistant coach with the Tampa Bay Lightning, Gwozdecky is finding new challenges at Valor he never had in the NHL or as head coach at the University of Denver. We cover all that, plus much more, in the Hockey 2016 edition of Mile High Sports on Denver 8 TV. Hosts Danny Williams and Benny Bash welcome MHS Avalanche beat writer Drew Demo and legendary preps writer Neil Devlin talking all things hockey.